HB BUZZ: The Hungry Bee's Favorites of the Year! Well I have officially passed the one year mark since I launched my Hungry Bee website, and as I had hoped for, it’s been a great journey. 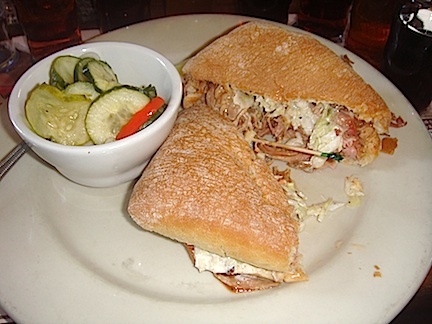 I’ve experienced wonderful food in local restaurants and restaurants around the country. 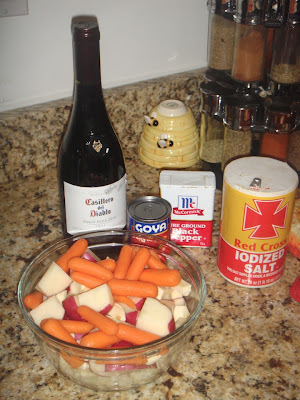 I’ve tried new recipes, bought a slow cooker, and taken classes to expand my culinary skills. I’ve also met some fascinating people like Judith Hines Dunbar in Chicago and Keith Album in New York. Most importantly, I’ve enjoyed sharing my love of food with my readers and friends. I hope my year has inspired some of you to cook more, explore your interests, and just have fun with food. Thanks for reading and Happy Holidays! No time for turkey this year? 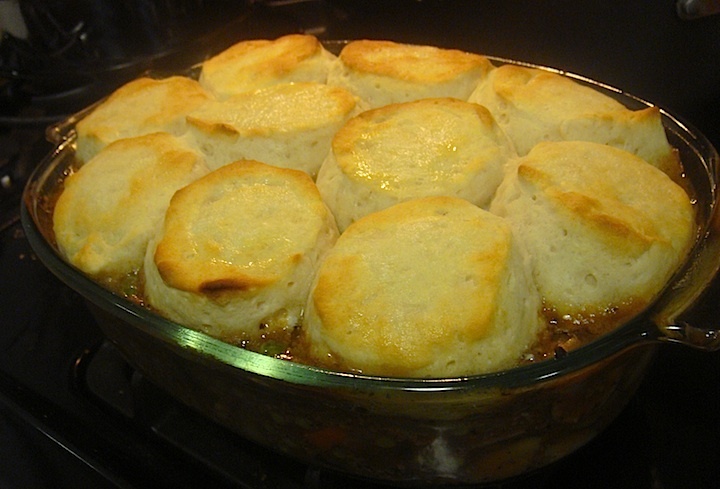 How about some quick and easy pot pie? I recently prepared this recipe for Beef and Vegetable Pot Pie which I found on MyRecipes.com. While I cooked ground beef as suggested, I see no reason why you can’t substitute any ground meat - turkey, pork, lamb - or just add more vegetables. 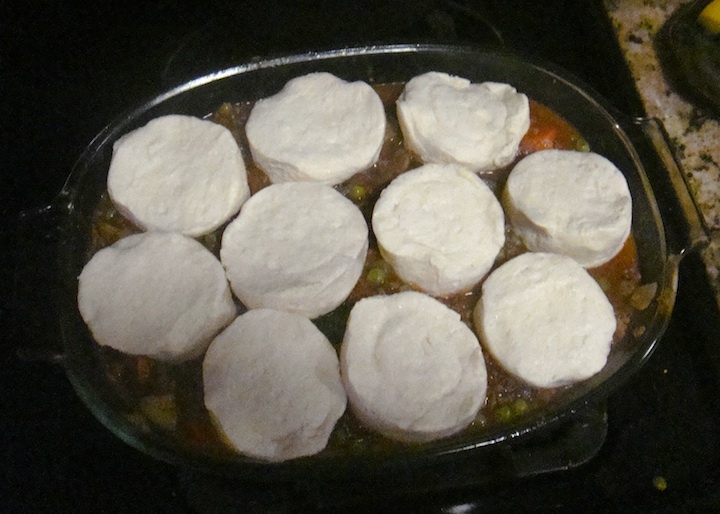 The only additional ingredient that I included was thawed frozen peas, mainly because I can't imagine a pot pie without peas. The original recipe calls for pre-made breadsticks, but I used canned biscuits instead since they are easier to find at the supermarket. To ensure the golden brown look, I placed a pat of butter on top of each biscuit with about 5 minutes of cooking time remaining, and added a sprinkle of garlic salt. The entire meal took under an hour with prep (under 45 minutes I believe) and I had leftovers for days. I wish you all a very happy and stress-free Thanksgiving! HB Sweets: Cupcakes, brownies, whoopie pies, oh my! 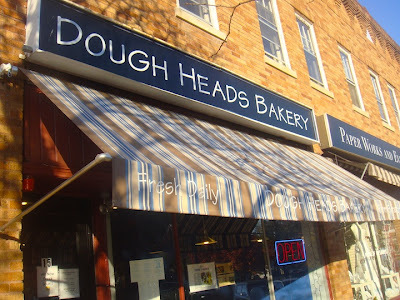 Dough Heads Bakery in Englewood, New Jersey is a great little shop that is definitely worth checking out if you are in the Northern New Jersey area (not far from the GW Bridge). 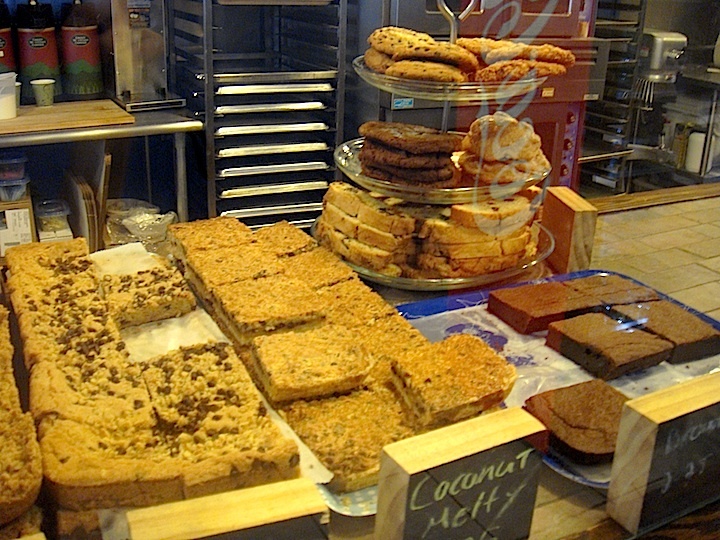 With a huge menu and an inviting set up, this is the kind of bakery I wish I could start my mornings with everyday. 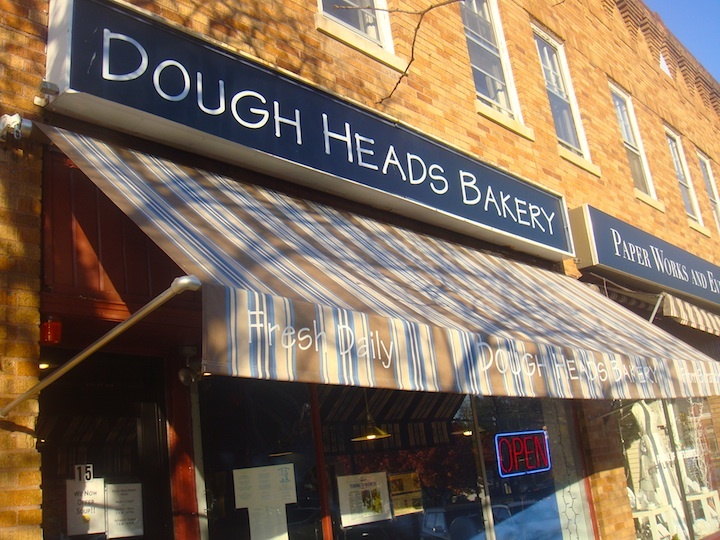 I first heard about Dough Heads in July thanks to a local newspaper article describing the beginnings of this delicious establishment. The owners, Megan Olund and Chris Helsin, love to bake everything from scratch and use simple, fresh and tasty ingredients. On my recent visit to Dough Heads I sampled a variety of their popular sweets. The list included mini-whoopie pies, cupcakes, and a brownie (I had to limit myself!). 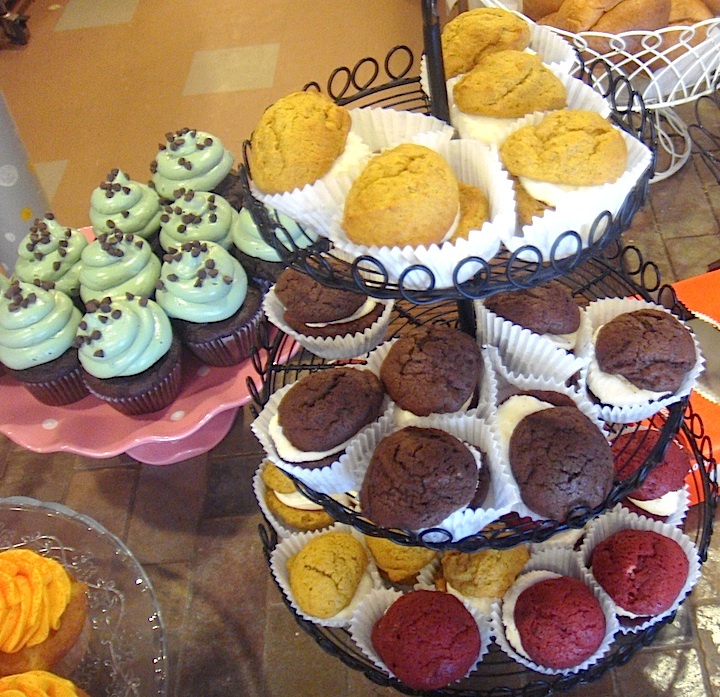 The whoopie pies come in three flavors: chocolate, red velvet, and seasonal pumpkin. Each flavor was just as tasty as the next. The brownie was moist and luscious, so moist in fact that it was almost creamy in texture. Finally, the mint chocolate chip cupcake was definitely my favorite treat of the day. It had all of the great flavor of mint chocolate chip ice cream, with a light and fluffy chocolate cake. To read more about Dough Heads click here. 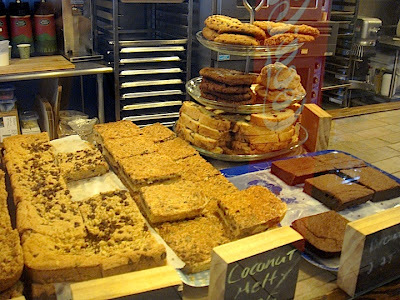 Do you have a favorite local bakery? Please share and I may schedule a visit! This week the unexpected pre-Halloween snow inspired me to break out the slower cooker and make some delicious and comforting beef stew. 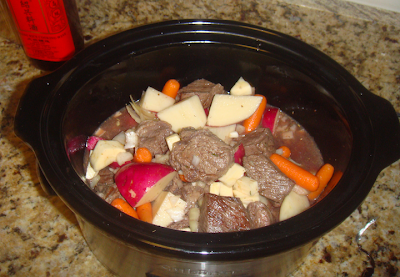 For those of you out there (like me) who don't have a big family to cook for, or lack a gigantic crock pot, I recommend the book "Not Your Mother's Slow Cooker Recipes for Two: For the Small Slow Cooker." It is full of innovative recipes especially tailored to create 2 serving meals rather than larger meals of 4 or more servings. 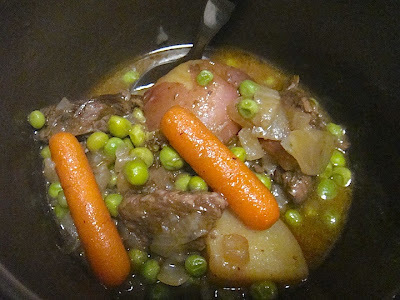 The prep for this stew recipe was pretty simple, just chop the vegetables and brown the meat. One thing that I've learned from all of my slow cooker books, is that browning meat prior to slow cooking is key for flavor in the overall dish. 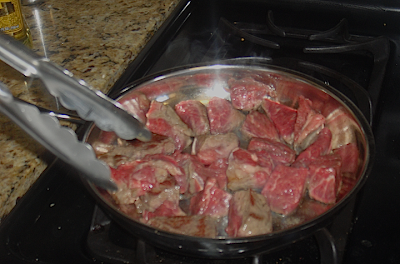 Make sure to salt and pepper the meat before to searing it in olive oil. Next combine the browned meat with the first 7 stew ingredients in the cooker and set on HIGH for 4 and 1/2 hours. 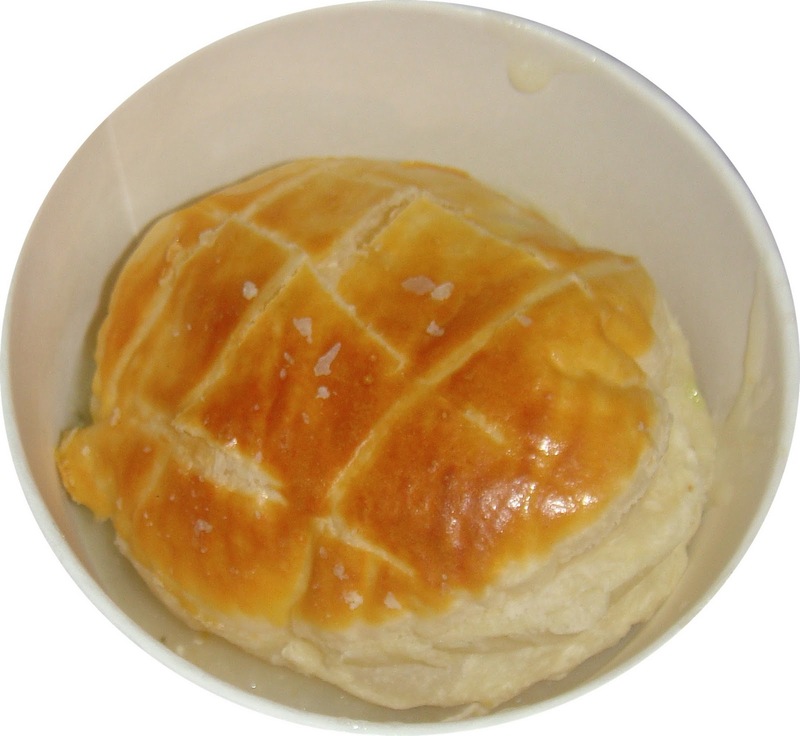 Within the last hour of cooking create a buerre manie with the butter and flour. A buerre manie is a thickening agent (sort of like roux) which should be then stirred into the stew until it is melted. Finally, add in the peas and cook for the remaining time. Even though the cooking time was on the shorter side compared to other slow cooker recipes, I found myself counting down the minutes until I could dive in thanks to the wonderful smells in the kitchen. The meal turned out great, except it needed more salt because I used reduced-sodium beef broth. The original recipe also called for sun-dried tomatoes, but I left those out. Enjoy! HB Eats: "Taste of Sunnyside 2"
I do believe that 2011 is the year of the food festival. 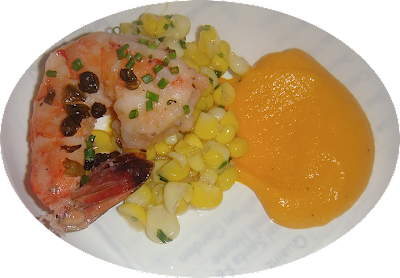 It seems like every week I am reading about or attending a new event highlighting local produce or restaurant fare. Yes, it's a great time to be a foodie in New York, and I was very excited to check out the second annual "Taste of Sunnyside" on October 18th in Sunnyside, Queens. The event was hosted by the Sunnyside Shines Business Improvement District and Sunnyside Chamber of Commerce. The diversity and vibrancy of Queens was well represented by over twenty restaurants from the Sunnyside and Woodside areas. The action-packed evening was divided into two identical back-to-back 1 ½ hour tastings serving over 600 guests. Organizers passed out Guest Pass dining cards that limited each participant to one sample per restaurant. While this method seemed restrictive at first, it turned out to be a great way to keep track of what tastes the night had to offer, without overwhelming tables with repeat guests. My favorite samples of the night came from De Mole, an authentic Mexican restaurant serving up shrimp ceviche on a corn tortilla chip, Copper Kettle’s comforting deconstructed chicken pot pie (the biscuit on top served as the crust), and Salt and Fat’s beautiful shrimp, corn, and carrot puree. 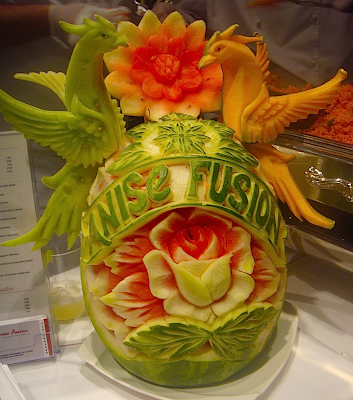 Other high points of the evening included Arriba Arriba’s delicious margaritas and Anise Fusion’s colorful carved watermelon sculpture (their Asian fusion food was great too). 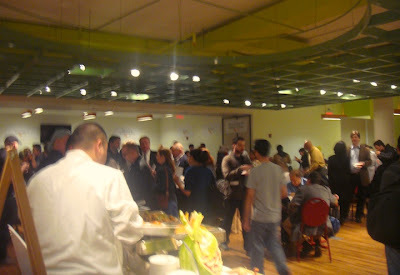 I really got the sense that attendees had a wonderful time discovering new dishes and supporting local restaurants. 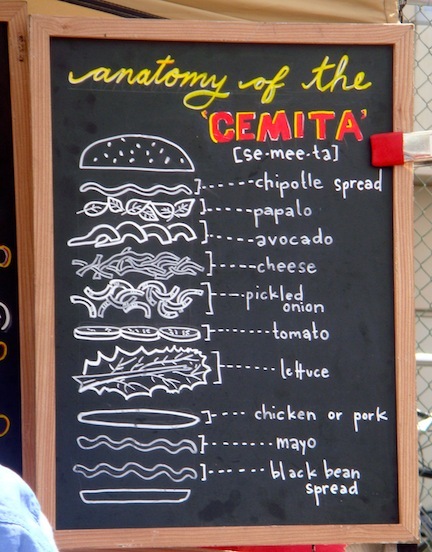 Have you had a memorable experience at a local food festival? I would love to hear about it! 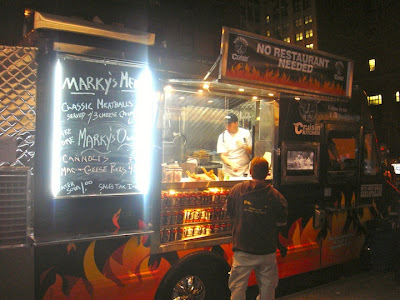 There’s a new food truck in town, and last week I had the opportunity to meet up with Keith Album, chef and owner of Cruisin’ Kitchen, in Manhattan. When I first met Keith earlier in the year, his enthusiasm for the food business was contagious (not that I need much help in that department). Keith has an impressive track record in the culinary world, having started his career as a bagel maker and part-owner of a deli/bagel shop in Forest Hills, Queens and later attending the French Culinary Institute. Since then he has worked in a variety of executive kitchens and ventures, but also had a dream of serving up great food in accessible settings. 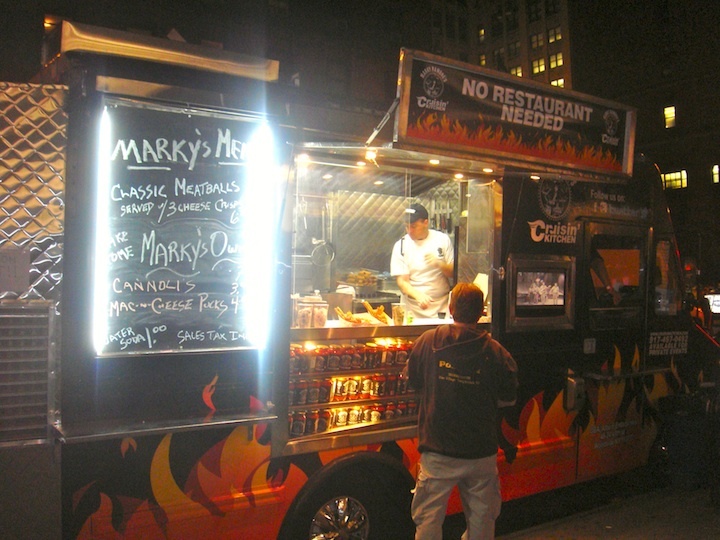 Recently he has made that dream a reality by partnering up with former Ramones’ drummer Marky Ramone for his first foray into the food truck industry. Now Chef Keith and his crew serve up trattoria style eats out of a unique and rockin’ kitchen on wheels. The stars of the menu last week were Keith’s delicious homemade meatballs served with Marky Ramone’s signature marinara sauce. The well-seasoned sauce was a nice compliment to the perfectly cooked meatball. 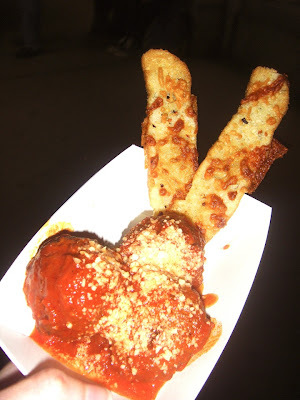 The side of cheese crisps was a fun and inventive way to soak up the sauce and balance the softness of the meatballs. I can’t wait to sample more of Keith’s creations in the future! You can follow the Cruisin’ Kitchen as it makes its way around the New York area on Twitter @Cruisin_Kitchen and Facebook. 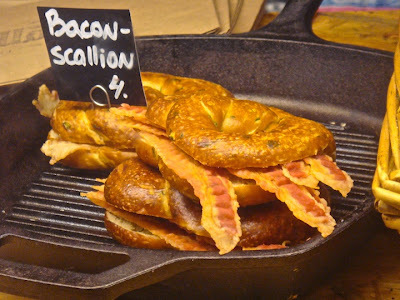 I recently discovered a great pop-up food market in the Flatiron District, but if you walk down the wrong block or blink, you might just miss it! 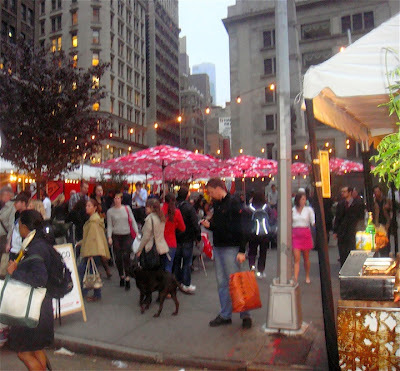 Madison Square Eats has made its popular return to Worth Square, located just west of Madison Square Park on Broadway and 24th Street. The market has a great selection of gourmet foods in a quaint and inviting street space lined with colorful pink umbrellas and festive lights. Over two dozen vendors are open for business at the market, including local favorites like Red Hook Lobster Pound, Sigmund’s Pretzels, Robicelli’s, Wafels and Dinges, and The Milk Truck. There are also some lesser-known vendors (at least to me!) 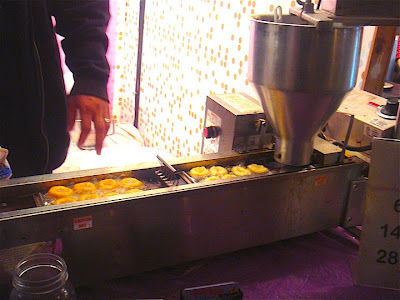 like Cuzin’s Duzin, with its simple yet addictive mini-doughnuts, made-to-order in a funky mini-doughnut making machine. Overall, Mad. Sq. Eats. provides a great outdoor dining, snacking, and happy hour alternative for the midtown crowd and visitors. Unfortunately, it took me over three weeks to find this hidden gem, and now there is less than a week left to sample the goodies, so hurry! The event runs daily, 11 am to 9 pm, through October 21st. The fall season definitely puts me in the mood to do more cooking and get back in the kitchen. 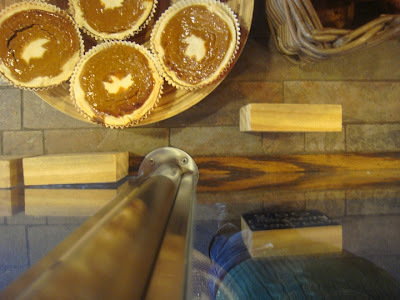 As the temperature drops, I look forward to warm comfort food, steamy hot apple cider, and the beautiful fall foliage. This week I found two easy recipes that don’t take a lot of prep, but do take a lot of time to bake, so make sure to budget your time accordingly. The folklore behind “Engagement Chicken” is more detailed than I first realized when I found the recipe on my Epicurious app. 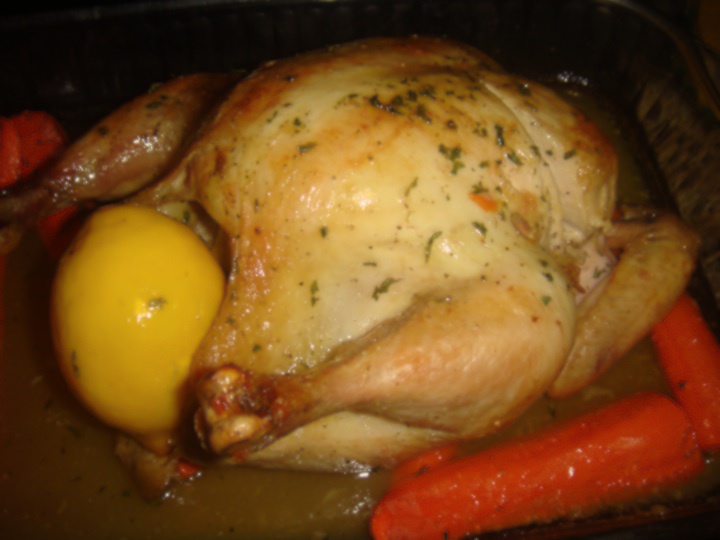 Glamour magazine first published this simple roasted chicken recipe in 2004. As the story goes, one of its employees made the meal for her boyfriend, at which time he promptly dropped to his knee and proposed. 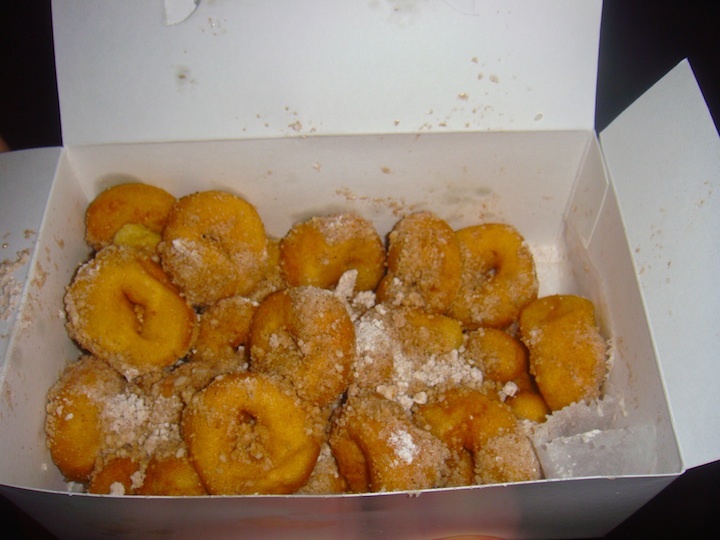 Since then, many couples have claimed to have been engaged as a result of this lemony dish and have contacted Glamour with their stories. Engagement or not, I can attest that this chicken is pretty fabulous! The recipe is also part of a the Glamour book 100 Recipes Every Woman Should Know. I followed the recipe pretty closely, but it is helpful to know ahead of time that it takes about 3 lemons to make ½ cup of fresh lemon juice, and only 2 lemons really fit into a 4 lb. chicken. Therefore, 6 lemons is a good number for your grocery list. Since I still don’t own a roasting pan, I used a glass pan and propped the chicken up on carrots. I also didn’t have fresh herbs available, so I basted the chicken in the last few minutes of cooking and sprinkled on dried thyme, parsley, and sage. The chicken came out really juicy and the sauce was to die for. 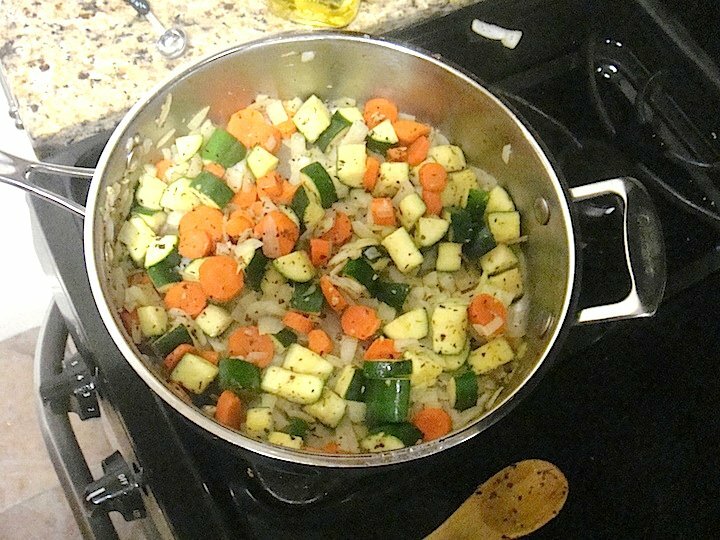 One thing to take into consideration if you follow my carrot roasting method is that the carrots become a little too lemony to eat, so make sure you cook some separately if that is your chosen side dish. My main side dish was baked butternut squash with melted butter, brown sugar, and spices. I basted the squash almost as much as I basted the chicken, to insure a buttery flavor throughout the fruit. 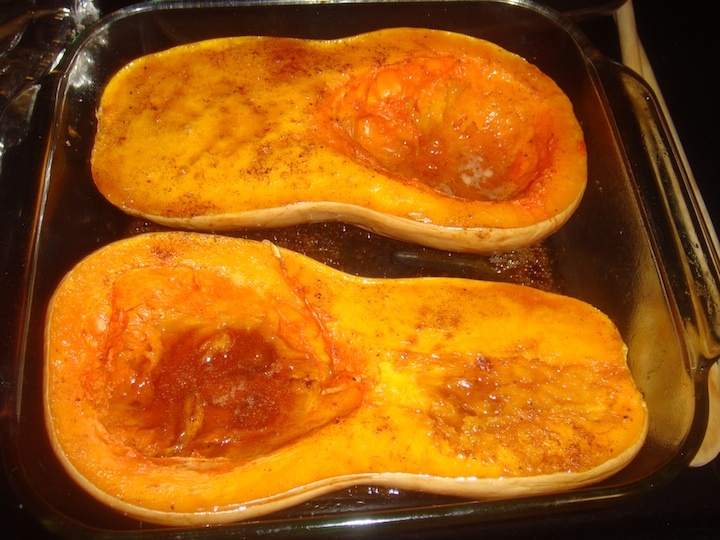 I baked the squash at the same temperature, 350 degrees, and time as the chicken, which is probably why my meal took longer to cook than the recommended time. Overall, my oven was busy for about 2 hours. Since every oven is different, you can judge the chicken by its temperature (the recipe calls for 180 degrees in the thigh) and the squash by pricking it with a fork to determine its tenderness. Honestly, I just took a big cut into the chicken breast after it was golden brown to see if it was cooked through and tasted the squash (while not the most precise way, that got the job done). I really enjoyed this homey dish and next time perhaps I will add some stuffing, greens, or dessert to the mix! Enjoy! HB Sweets: Gigantic chocolate cupcake! Here is a look at one of my favorite dessert creations: a gigantic chocolate cupcake with Reeses Peanut Butter Cups! And here's a link for the Big Top Cupcake pan that I used to make this beautiful dessert! Walking into the Buckhorn Exchange in Denver, Colorado is like walking straight onto the set of an old western movie, if the set was decorated by an overworked and giddy taxidermist. 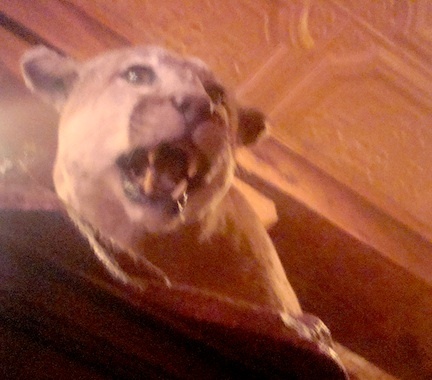 Yes, the deep red walls of the Buckhorn are lined from floor to ceiling with stuffed animals of all kinds, and while that may sound a bit strange at first, there are tons of reasons why tourists and locals flock to this fun Lincoln Park establishment. 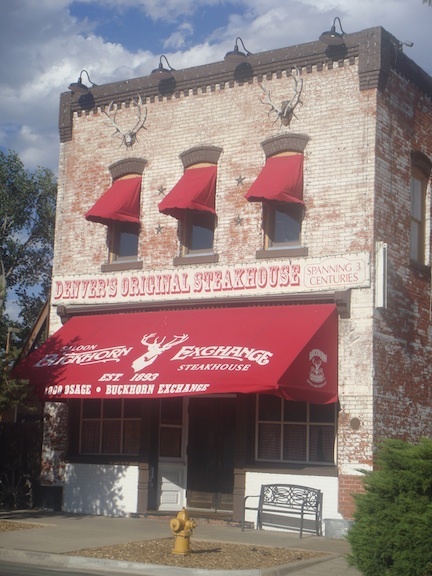 The Buckhorn was founded in 1893, making it Denver’s oldest restaurant and home to the State’s first liquor license ever. The site history is definitely worth reading about, and is celebrated everyday with the cool vintage menu and display of Old West artifacts. 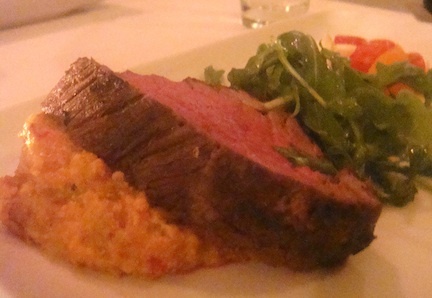 The Buckhorn is conveniently located right across the street from the 10th and Osago light rail station, and offers an extensive menu of exotic meats, which is why I personally had it at the top of my must-try list for Denver. The Buckhorn is also known for serving up the very popular appetizer of Rocky Mountain Oysters, which isn't at all what it sounds like (if you watch Chopped then you know what I mean). I must admit I didn’t try the mysterious delicacy, but I did watch plenty of nearby visitors squirm while they did. 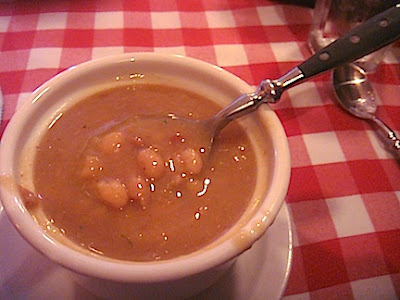 I focused my appetizer energy instead on the famous bean soup (a must!) 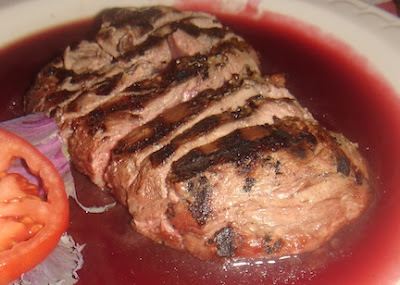 and the grilled duck breast served with a raspberry, red zinfandel sauce. For an entrée I had the special game trio of yak, quail, and elk. 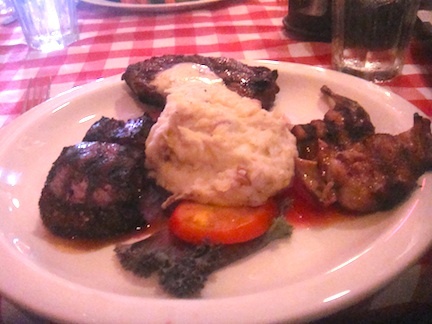 The yak and elk were firsts for me, which was exciting, but I definitely liked the quail the best. It was cooked and seasoned perfectly, and I probably could have had a dozen more because the meat was so light and flavorful. 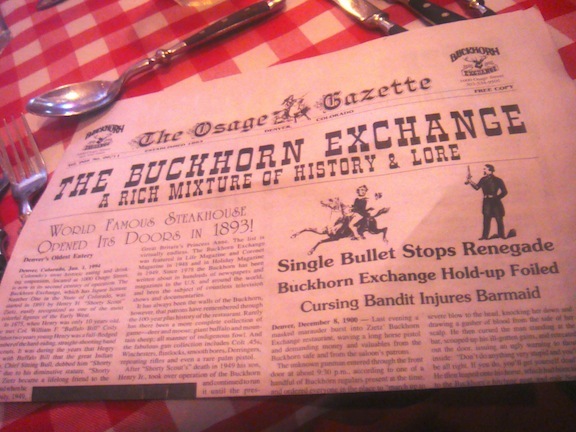 A trip to the Buckhorn is a trip back in time worth taking! 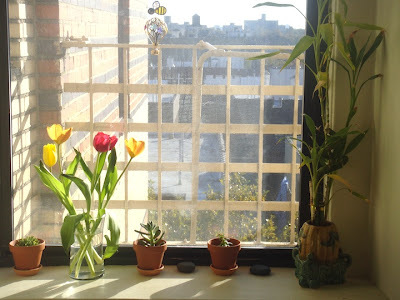 It’s hard to believe that I started my Hungry Bee blog almost a year ago. It seems like just yesterday when I came up with my first bee graphic and domain name. Yet so much has happened in the last ten months. I’ve done a ton of cooking, baking, eating, and exploring, along with seemingly endless amounts of writing, contemplating, and designing. But it wasn’t until last weekend that I found a restaurant which truly challenged all of my blog writing capabilities. 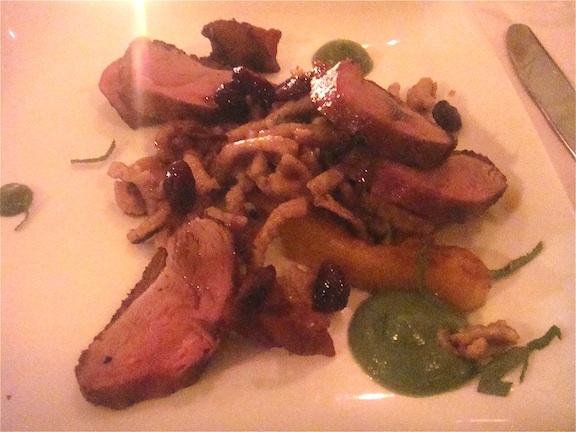 MOSAIC, located in St. James, NY on Long Island is a great culinary find. Its cozy, elegant, and warm interior contrasts with its rather generic strip mall setting. The key to this restaurant’s uniqueness is its 5-course tasting menu that changes every night ($54 per person -- wine pairing is extra). This innovative concept seemed rather mind-blowing to me at first, but now I think I get it. Having only five dishes everyday lets the chefs be super creative, yet not overwhelmed with a large menu. While the chef will gladly remove any item that you do not want or cannot eat from each course, in general, what you hear is what you get at MOSAIC. So why was this such a challenging blogger experience? It was because of the shear number of ingredients delivered in each dish, and the speed at which the dishes were introduced. Since I didn’t have a tape recorder with me, intense listening and concentration was a must (especially since wine was involved)! Thankfully the room wasn’t very big and the waiters repeat the menu items with each new table. Just so you don’t think I am exaggerating, I’ve created a link to my extensive menu notes. Sure, a part of me thought that the waiter might offer me a copy of his menu list, but what fun is that!?! Overall the meal was delicious, beautiful, and filling! Each dish was crafted in a unique pattern highlighting the ingredients on the plate. The fillet was by far my favorite part of the meal, followed by the duck breast, and the sensational dessert platter with the most delicate strawberry cheesecake panna cotta ever. I recommend this restaurant for any special occasion or dining splurge. I also recommend making a reservation, because space is at a premium at MOSIAC! Before heading to Colorado on my vacation, I spent a few days further north in Green Bay, Wisconsin for my good friends’ wedding. 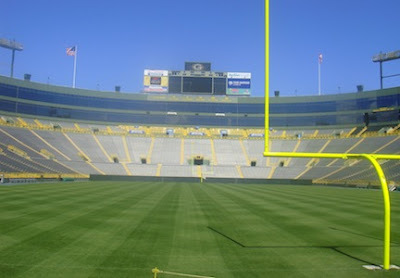 The quick weekend stay included a traditional Friday night Wisconsin fish fry, a glimpse at the Green Bay waterfront, and a highly anticipated and fulfilling tour of the Packers’ football stadium - Lambeau Field. 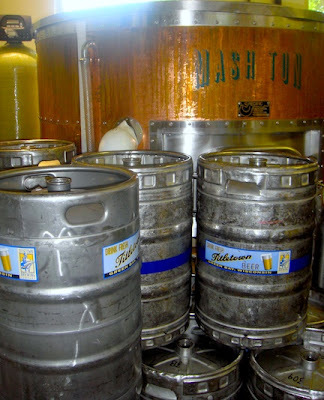 During my first sightseeing outing, my friends and I stumbled upon a great local microbrewery and restaurant, Titletown Brewing Company. 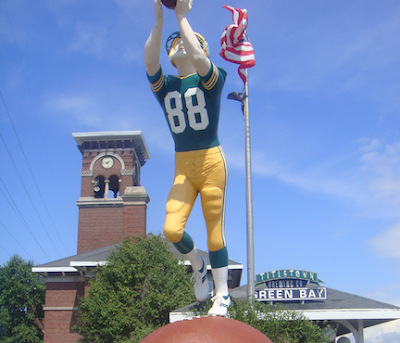 I soon learned that "Titletown, USA" is Green Bay’s unofficial nickname based on its many championships. However, there is way more to this City than football, including its rich railroad history. Titletown Brewing Company is located inside the former Chicago & Northwestern Railroad Depot. The original depot building was constructed in 1899 by architect Charles Frost, and acted as a thriving transportation hub and community gathering spot for years to come. While the railroad use was eventually abandoned, the attraction to the site never was. In 1994 a group of investors renovated the vacated building, and the culinary destination has been serving up comfort food and spirits since 1996. It is also a national landmark. Titletown offers a selection of home crafted beers, as well as their delicious Sno-Cap Root Beer. I ordered the beer sampler which was a great way to start a meal. 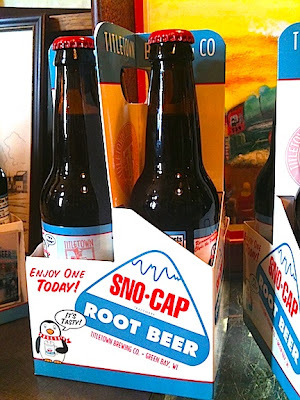 The ten miniature drinks complemented my flavorful pulled pork sandwich, which was doused in BBQ sauce made with the Sno-Cap root beer. 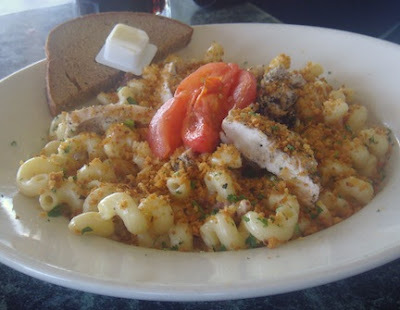 I was really impressed by Titletown’s Cheesy Mac with its creamy and luscious Asiago cheese sauce and smoky bacon! Titletown was so much fun we returned two days in a row. Okay, we actually went back because we found out that a another local hotspot, Chili John’s, was closed on Sundays, but it was a great excuse to return for a second trip. I would definitely go back again on my next visit to Green Bay! One morning during my recent trip to Colorado, I was clicking through the cable stations available in my hotel room when I happened upon a mouthwatering show on the Travel Channel about the best food factories. The first segment that I watched was filmed at Hammond's Candy Factory in Denver. I soon realized that this local institution was located just less than 15 minutes from downtown where I was staying! Being the candy junkie that I am, I was psyched to find out from their website that Hammond's offers free factory tours all day long (except for Sundays when they are closed). An hour later I was in the car and on my way! 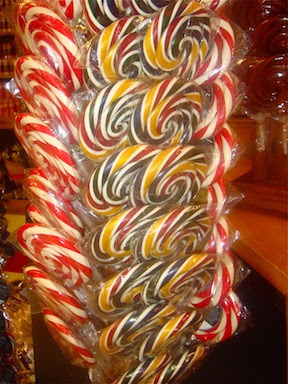 Hammond's is most famous for its hard candy treats, including its highly popular candy canes. Every December they hold a Candy Cane Festival with a special visit from Santa himself. 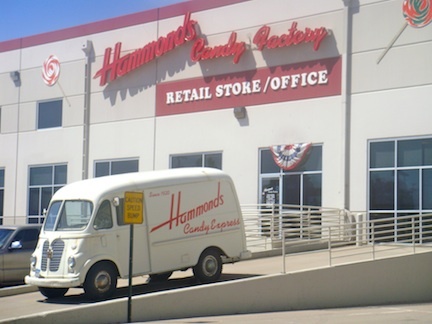 The factory tour consisted of a video showcasing the company's past and present, followed by a look at the factory workers in action, and ended with a stop in the Hammond's candy shop. Our tour guide was very animated as she described the candy making and shipping process from start to finish and answered our questions. It was hypnotizing watching the skilled candy makers mold sugar and spin colorful lollipops in the work room. I spent the majority of my visit in the Hammond's store, where there are tons of goodies to choose from, including lollipops, chocolates, caramels, and of course candy canes. If you can’t make it all the way to the factory, Hammond’s candies are available online and now at certain markets such as Whole Foods, Nordstrom’s, Dean & Deluca, Cracker Barrel, and my favorite Sur La Table. 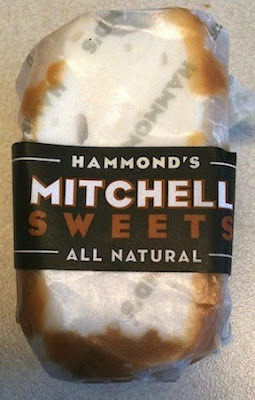 I ended up coming all the way back to New York to try my first Mitchell’s Sweet from Sur La Table. 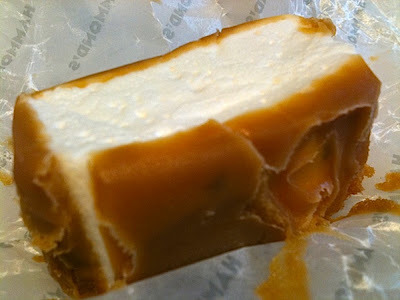 This unique treat combines two of my favorite candies- marshmallow and caramel - into a bite-sized confection. These sweets were created in the 1930s and are named after Hammond's friend who came up with the delicious idea. Click here to learn more about Hammond's company history. Other than the Ben and Jerry's headquarters tour in Vermont, I had never really thought about adding food factories to my list of vacation attractions, but thanks to the Travel Channel and Hammond’s I definitely will in visit more in the future!